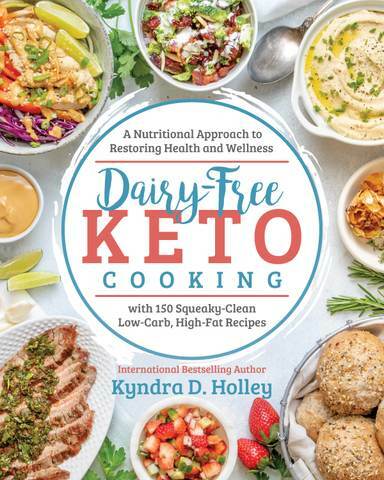 This recipe pretty much sums up my low carb mission in life… to get creative and recreate my favorite comfort foods in as many versions as possible. When I posted my breakfast on Instagram, you all went nuts for it and were asking for a recipe. After eating it for breakfast five days in a row, I thought I should oblige. If I’m truthful, it was dinner on two of those days. In fact, I just finished eating it before I typed up this recipe. I am all about easy and flavorful all in the same dish. The less time in the kitchen, the better. I’m sure you agree! The secret to getting those perfectly gooey yolks and still getting crispy pepperoni is to take your time and cook them slow and low. The awesome thing about this recipe is that you can change it up with any of your favorite pizza toppings. Use your favorite meat topping and your favorite type of cheese and get creative with it. Go crazy and add some veggies! I get asked all the time how I make my eggs so perfectly round. It’s easy! I cheat! I use a 5″ egg pan. It keeps the eggs from spreading too thin and they turn out perfect every time. You can grab one here. 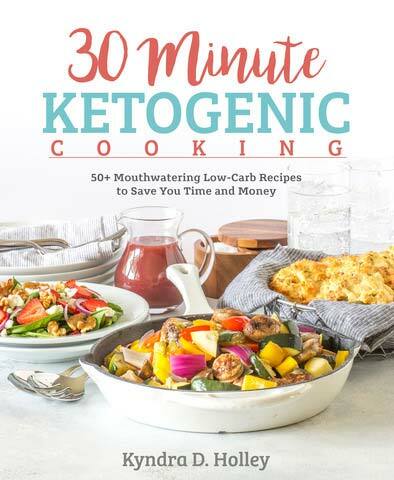 If you are looking for more low carb, ketogenic, and gluten free pizza recipes, then you just hit the jackpot. A couple of my favorites are these Garlic Chicken Alfredo Waffle Pizzas, Hawaiian Pizza Stuffed Peppers, and this Bacon Cheeseburger Pizza. I even have a low carb, Paleo Pizza Sauce recipe. Looking for a nut free, low carb pizza crust? No problem, I have that too! Can you tell I love pizza! Who’s with me? Once the butter is melted and the pan is heated, crack the eggs into the pan. Once the whites just barely start to set and turn white, spoon the sauce onto the eggs and sprinkle the feta over top. Reduce heat to low and continue cooking. Once the whites are almost completely set, add the mozzarella cheese, pepperoni, and Italian seasoning on top. Continue cooking on low until the whites are completely set, the pepperoni is cooked and the cheese is melted. Kyndra, This is the cutest pan ever, for that reason alone I will make this dish (got to buy the pan first) but I hope this will help with my pizza cravings! We make eggs in it every morning. So handy! So. Freaking. Good. Didn’t have any feta so I used tillamook sharp white cheddar. Loved this dish. It’s a very simple go-to meal and I’ll be making this regularly. Thanks for all your hard work and the creative recipes! So happy you enjoyed it. Thanks so much for the kind words. I’m on day 2 of this for lunch…and tomorrow may just have to be day 3! It seriously is that good. OMG this was delicious! Unfortunately, I couldn’t find the pepperoni while at the grocery store by my job yesterday and did’ have time to go to the store by my house today, so I did it Texas style. I stopped by the taqueria on my way to work this morning and got a pork taco. LOL! Discarded the tortilla (of course) and used the pork instead of pepperoni. Other than that I followed the recipe to a T. I made it in our toaster over at work and made heavy duty foil into a little pan. 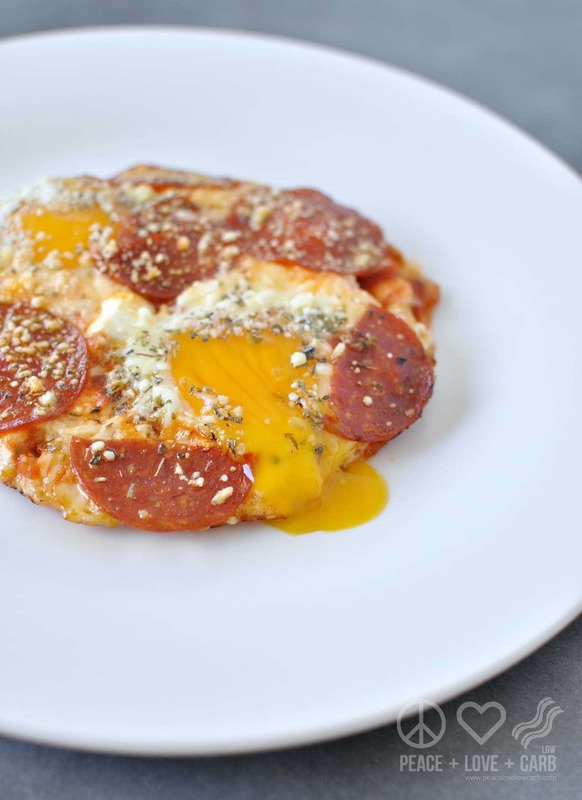 I already love pepperoni in my eggs, but the pizza sauce and the feta took it to the next level. I will continue to make this at least twice a week, switching between the pepperoni and the pastor (pork). Just tried these this morning and all I can say is….HOLY COW!!!! These were amazing!!! I used goat cheese because I didn’t have any Feta and it was wonderful!! I was getting bored with fried eggs and adding various spices to change things up…thank you so much for an incredible recipe!! Delish!!! I forgot to use Pizza sauce (not a huge fan of. But this was soooooo freakin great! You did it again!!! This was delicious and a great way to use my leftover pizza ingredients! Yours looks a little crispy on the edges? If that’s true, how did you get it that way? Thanks! lil, Bed Bath and Beyond has the egg pans. So yummy! I used a metal ring by hubby had made me for breakfast sandwiches. I overlooked the slow and low step but goobled it up! Great for bariatric patients!! Thanks for the yummy breakfast! Yummy!! I didn’t have Feta so I used Parmesan cheese. It was so good and easy to make. thanks!! Eating this as I type, and my dogs are staring at me! It is delicious. 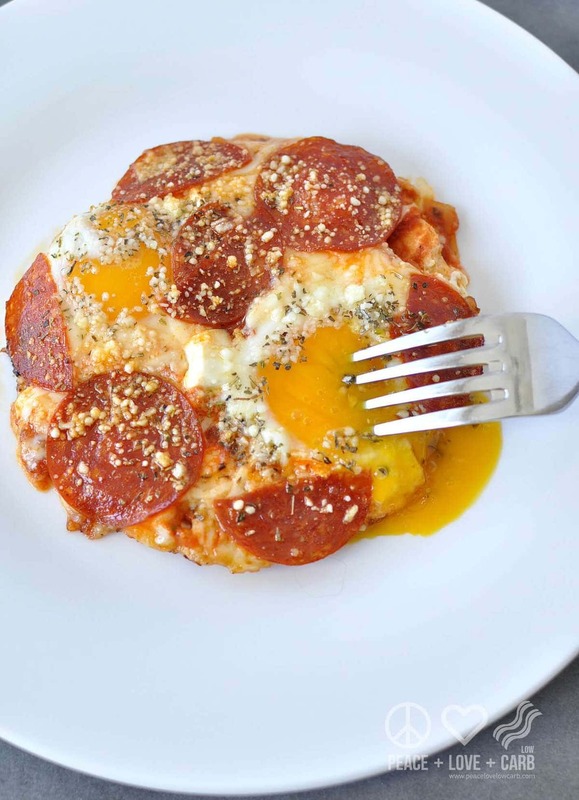 I love huevos rancheros, don’t now why I never thought about pizza eggs, but it is awesome. No feta or mozz in the house, I chose provolone and parmesan, I have several mini cast iron skillets and used on of those, about 4 1/2 inches and worked perfectly. Thanks for sharing! This was truly fantastic…as are all your recipes. We just got your book and have made several recipes…all of them are delicious. Even my pickiest of children loves your lasagna soup!! I asked them to go through and dog ear pages that they want me to cook..almost the whole book is dogeared!! Haha! I usually don’t like eggs but I wanted to try this because I know that your amazing so I had faith that it would be good! It’s delicious. Thanks for all you do!! Thanks so much for the kind words. So happy that you and the family are enjoying the book. I really appreciate the support! This was soooo good! I am 3 weeks into keto, and I was really needing some variety because I’ve been eating the same things most every day. Thank you so much for this! I love this recipe, and I have really taken it and run with it. I break the yolks but they’re still good runny which I don’t normally like but it works well with the sauce and pep. I’ll add other spices too. But the toppings is where I go all out. I like to mix it up with the cheeses (whatever happens to be available at the time) and do any combination of pep,sausage, bacon, Canadian bacon, and olives. Also been using Paesana new York vodka pizza sauce which is a nice low carb sauce, as is raos marinara. Hi Kendra! I just made this dish for my husband and I. We loved it! it was so delicious and a good change from the same omelet we have every day. 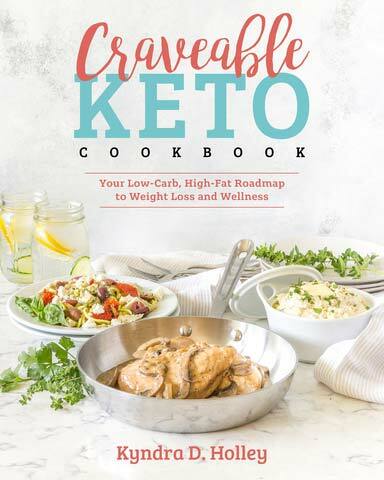 I love your cookbook and recipes and have made several of them since my keto journey began! Keep them coming and thank you for sharing!! God bless! This is wonderful! I took a few minutes to whip up the pizza sauce, too, and it was worth the extra 10 minutes. Quick and totally hit the spot for the pizza craving I was having on my commute home. These are really good!!! This is my 3rd day having them for breakfast. I do the low and slow. In fact, I have them cooking right now. Thanks bunches for this recipe!!! Really helps with pizza cravings! Looking forward to making this tonight for dinner (my cute little egg pan just arrived from Amazon…yay for Amazon Prime!). Can you please provide the nutritional info for this recipe? Thanks! These are seriously delicious. I used Rao’s marinara sauce instead of pizza sauce because that’s what I had on hand. Delicious for breakfast, lunch, or dinner! Super good. I used fresh basil and dried oregano and jarred tomato and basil pasta sauce. Quick and easy! Thanks! This is the first of your recipes I’ve tried. It is so savory and delicious! 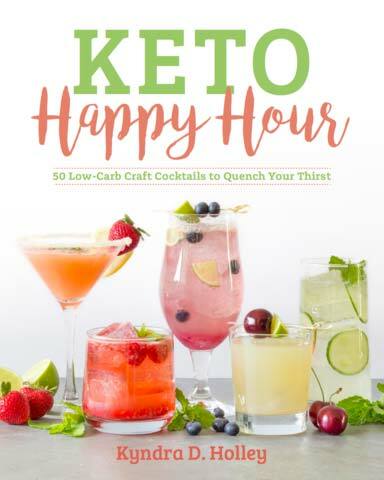 I am new to Keto/low carb, and my mouth is SO happy! I can’t wait to try some of your other recipes and know the egg pan will be a great addition to my kitchen tools when I want that perfect, small round food. Thank you so much for your website and recipes!!! Wow. 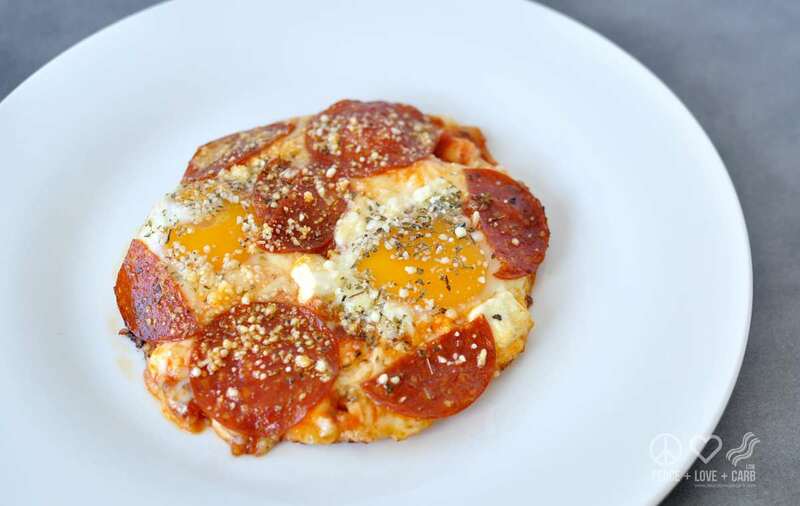 Woke at 4:30am and say this picture of the egg pizza and couldn’t wait to get up and make it. Yummy yummy. What an amazing and EASY recipe to make! Thank you so much as you have completely changed the game for me with this one! My attempt at this recipe didn’t look nearly as pretty as the picture, but it tasted WONDERFUL, and was super easy to make. I will definitely make this again!! Thanks, Kyndra!